Alcohol is woven tightly into the tapestry of virtually every culture on Earth. Deep red wines on the dinner table have become synonymous with France and Italy, while great steins of handcrafted ales bring to mind Germany and Belgium. In the United States, we've established our own place in the world of booze, with wacky, experimental craft beers and bold wines. 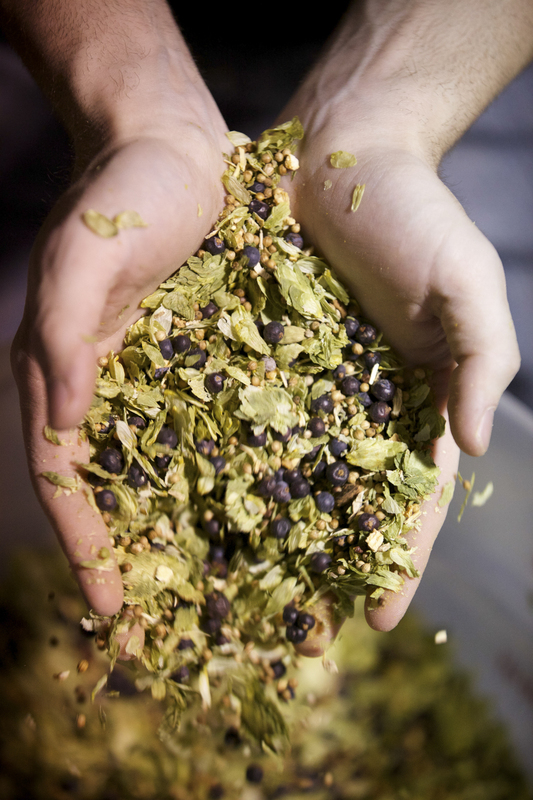 Rochester's own varieties of craft beers give us a taste of brewing chemistry, while our vineyards surrounding the edges of town provide us with plenty of local vino. And now, a new face into Rochester culture, Black Button Distillery is the first craft distillery within city limits since prohibition. Found at 85 Railroad St., next door to Rochester staple brewery Rohrbach Brewing Company and just a block from the Rochester Public Market, Black Button is a small batch distillery producing whisky, gin and vodka. 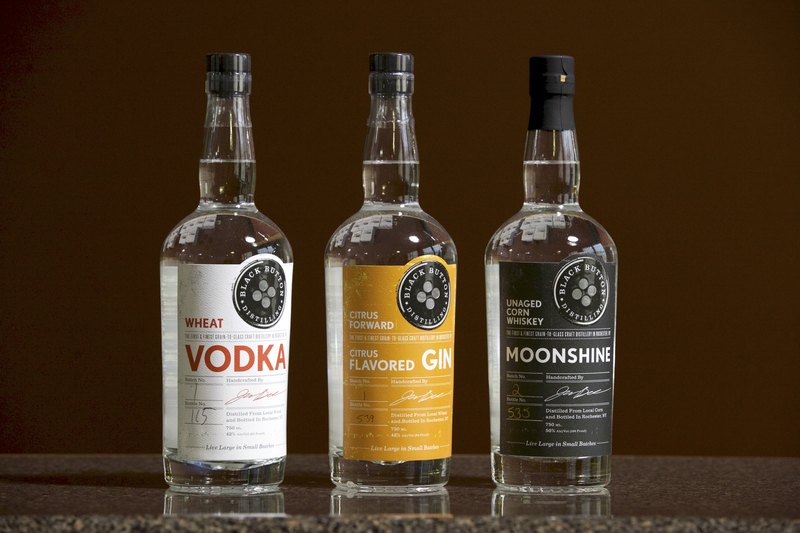 At the moment, Black Button offers four varieties of spirit, all with their own signature twist, including two varieties of wheat vodka, a citrus gin and an unaged corn whiskey “Moonshine”. 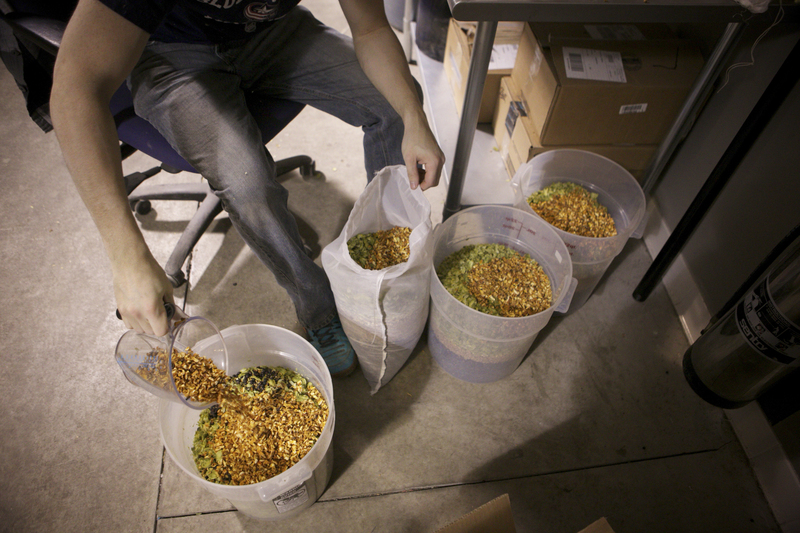 All of this boils down to a true Rochester original coming from the mind of native brewer Jason Barrett. 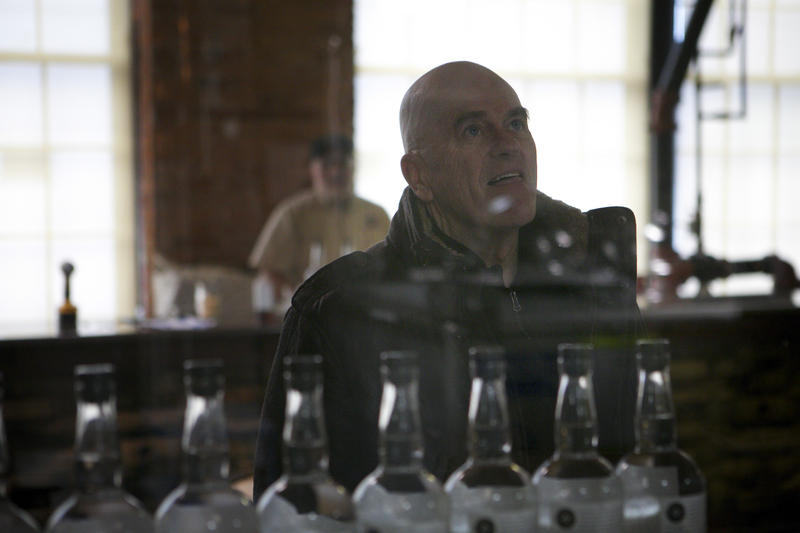 But the road to opening a distillery that pumps out upwards of 400 bottles a week – a number that Barrett hopes will soon double – was a legal struggle nearly two years in the making due to strict regulations that have kept New York's craft liquor industry stifled. “First we had to get our farm distillery license, then our CDS [Controlled Dangerous Substance] license, then our liquor license; all in all, the process took over a year and a half,” said Barrett. Well worth the wait, the flavor of love is found in each sip of every spirit. The gin, a warm, orange-y romp backed by the light presence of Juniper is a sweet, mild take on a classic liquor. 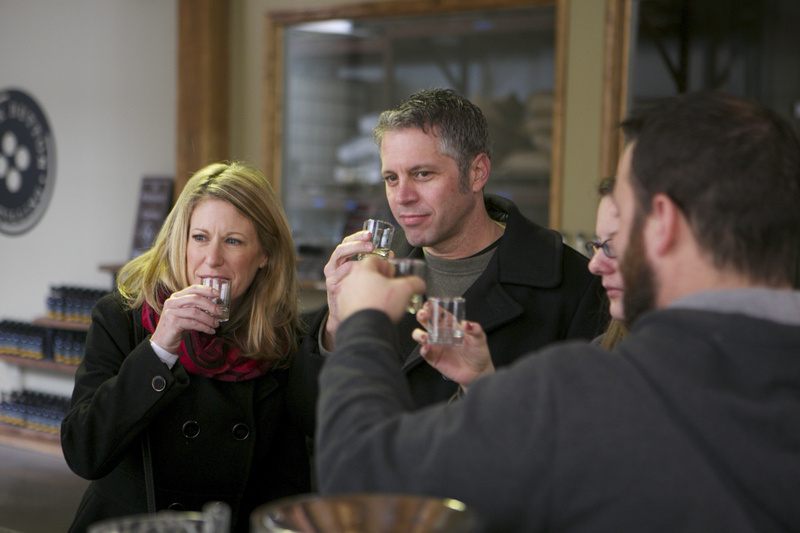 The vodka: packed wheat and full of complex flavors not typically expected from a neutral spirit. And the moonshine is something different altogether. The flavor of corn is first to come to the table, but soon followed by a rich flavor reminiscent of a refined, aged whiskey (though it is not) and finished with a smooth, gentle kick. It's unique, strange, harsh, smooth and just downright wonderful. 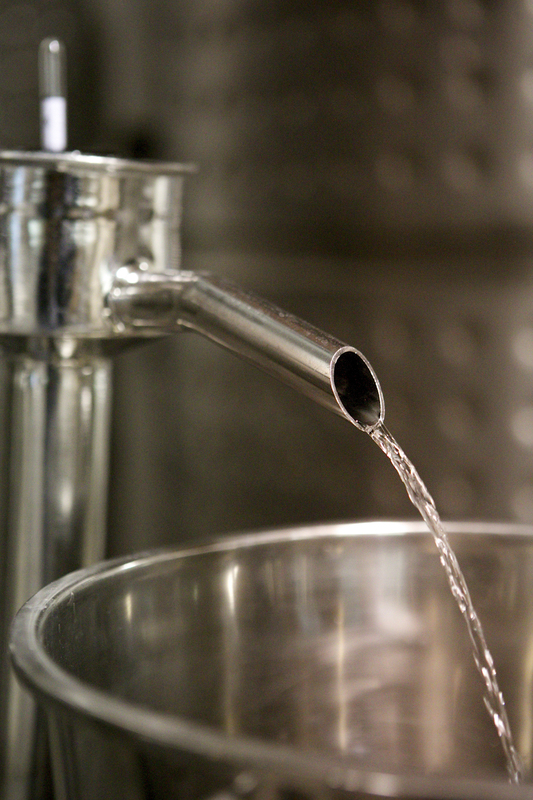 And for those who don't drink, Black Button also produces a house-made, barrel aged maple syrup. It's all made on sight, just a looking glass away from the ski-lodge styled bar. 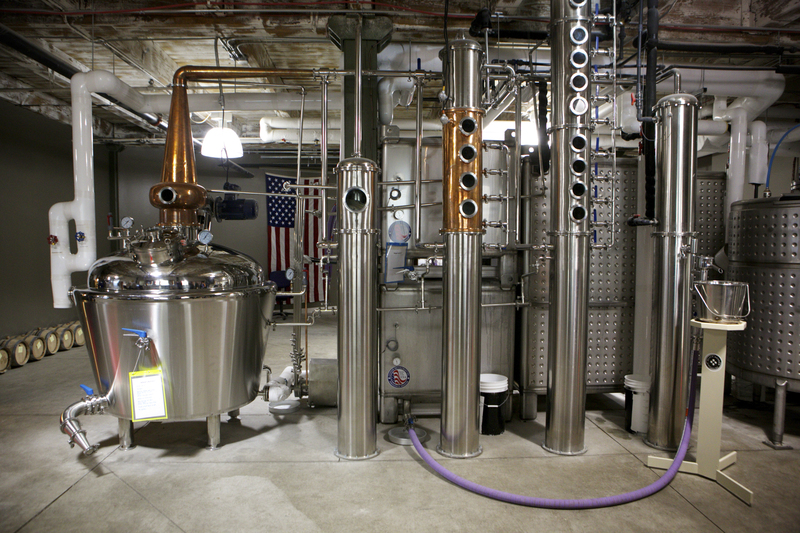 A massive stainless steel and copper pot still, followed by three stainless steel towers, marked with small, 6-inch wide glass portholes all the way up for collecting the steam of each variety, stand atop a plain cement floor. 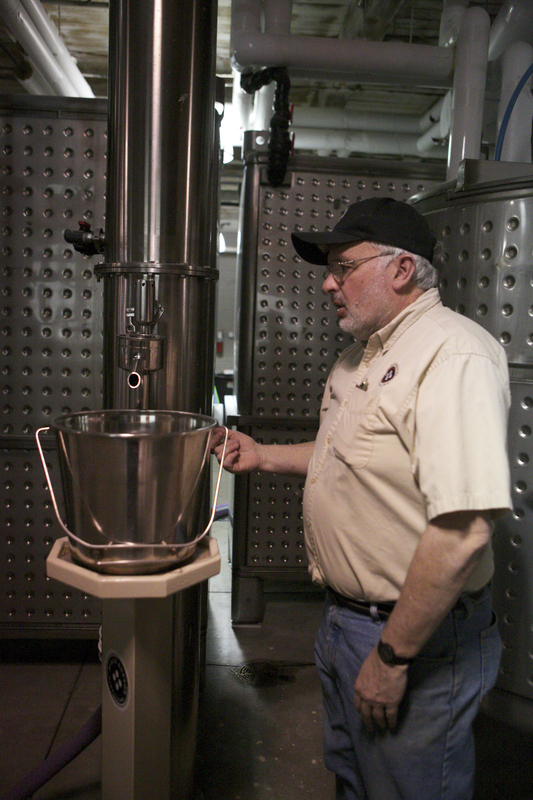 The tallest tower, reaching to the top of the ceiling nearly thirty feet up, is used for vodka, while the shortest, a ten foot tower with a copper centerpiece is used for whisky. 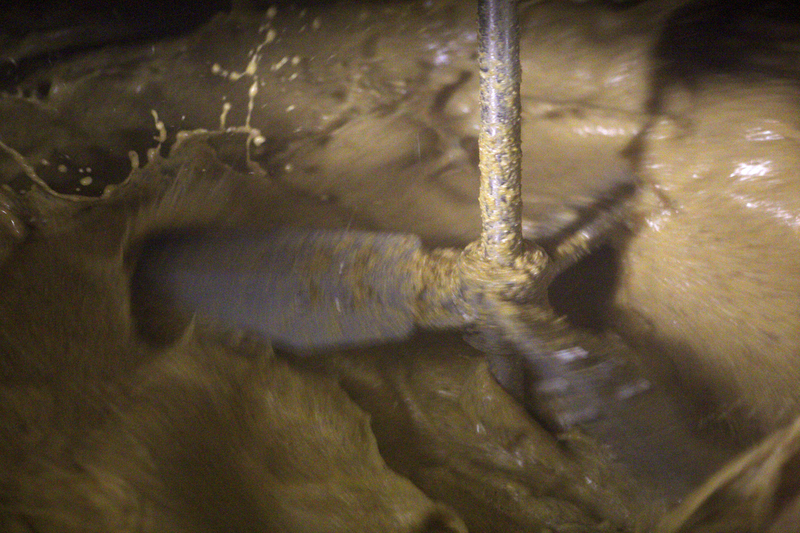 All told, 500 gallons of water and 1,500 pounds of grain are put into the fermentation vat, producing a grand total of 400 bottles of liquor. While Black Button is young, the future looks bright, with more unique varieties of craft liquor on the way, including charred American White Oak barrel-aged four-grain bourbon, set for release in December of 2015, along with some other concoctions in research and development, such as an Apple-Pie Moonshine. A classic recipe, the Black Button Moonshine meets cinnamon and apple in a sweet, tasty and unquestionably smooth drink fit for any party. Black Button is Rochester at its most original and finest, right down to the name. 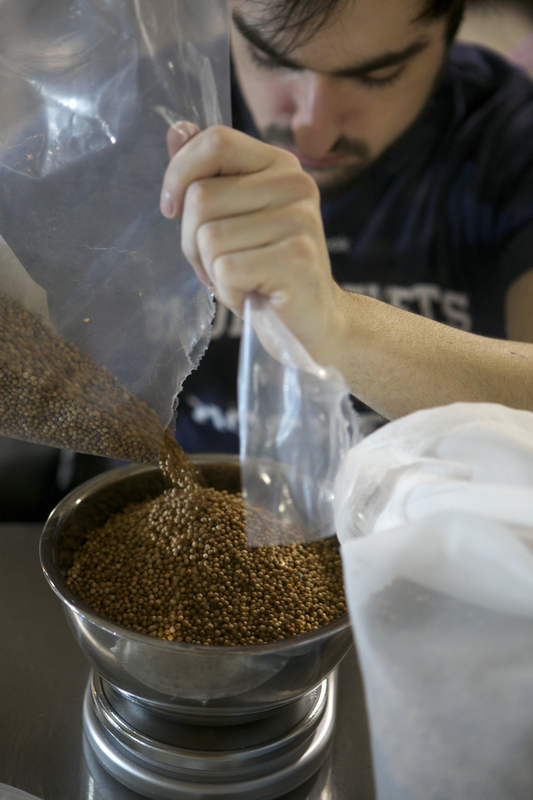 It's in this spirit of fun, and combined with a true passion for the art of distillation that Black Button makes their brews, in a way where you can taste every hint of grains, yeast, water and whole bunch of love. Snap Spectacles: Is the Camera On?